-Thermal Insulation: The channels trap air between double walls. Retains heat to help plants stay 10-20 deg.F warmer in winter. 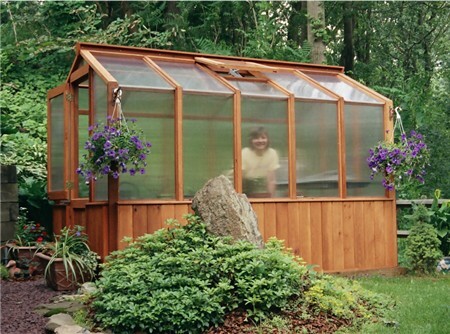 A savings of 45% off of the cost of heating a single-pane glass greenhouse. -Weather Resistant: Able to withstand weather: storms, hailstones, wind, snowfalls, and ice formation. It stays strong, where glass fails. 10 yr manufacturers warranty against breakage, yellowing, and loss of light transmission. -Light Transmission: Offers 86% light transmission while providing against UV radiation from the sun. The sheets have a UV-protected surface to give ensure against outdoor weathering. 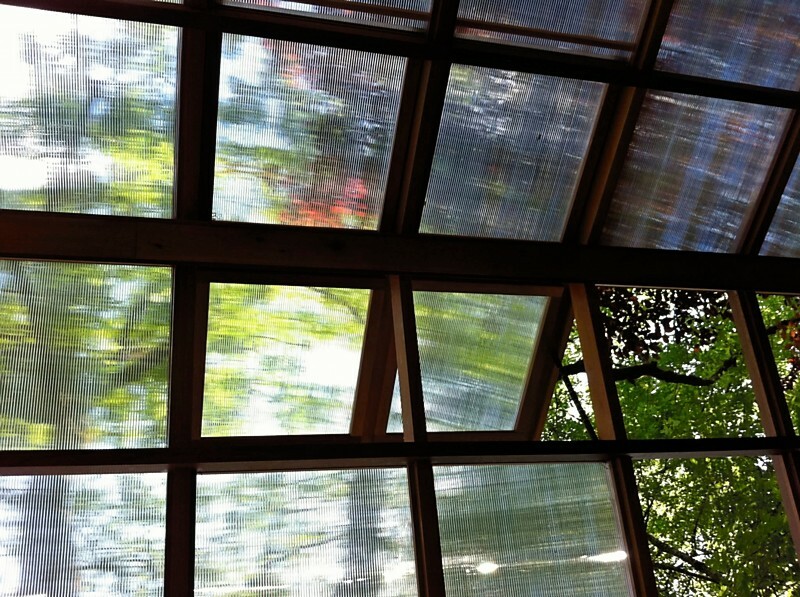 Sun rays are scattered by the ribs between panel walls to surround plants without shadowing or burning them. Less condensation and therefore more light transmission with little or no dripping from overhead. -Light weight: a far superior product because of the light weight properties. 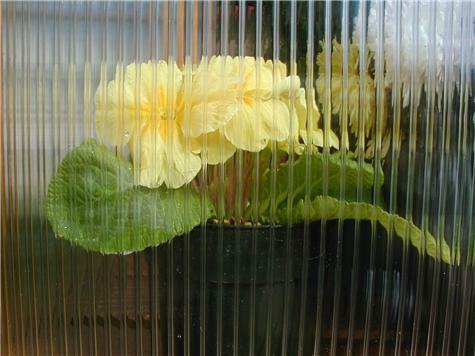 16 mm triple walled polycarbonate glazing available upon request. 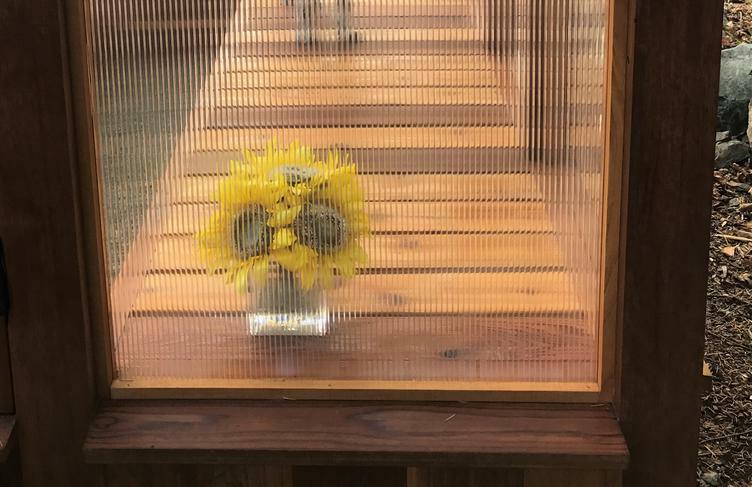 Mr. McClure ( 8x10 ), " It really has been fun this winter, the temp was down around Zero last night and the inside of the greenhouse was around 55 degrees with just a 110 volt electric heater set on medium." Mr.Saltzman ( 8x12 ),"I have put in an electric heater at the far end from the door and it maintains air temperature well. This morning was 15 F and I went out to the greenhouse to water, it was a cozy 73. I got my first electric bill since turning on the heat and did not notice anything dramatically different." 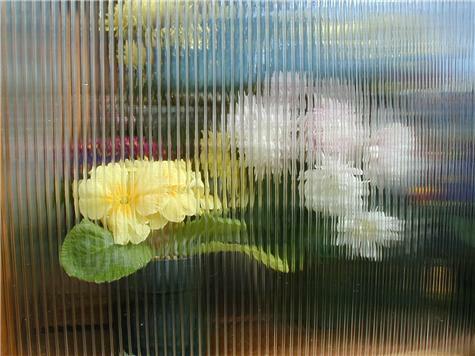 Twin Walled Polycarbonate is clear and slightly diffusing.